Natural dog health has increased in popularity over the years. 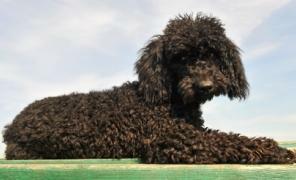 For prevention of adverse side effects from medications that a veterinarian prescribes, many poodle owners want their dogs to have alternative and naturopathic healthcare. Poodle holistic treatment treats the whole dog, not just the symptoms, and includes dog herbal treatments, dog acupuncture, massage therapy for dogs, and chiropractic for dogs. Acupuncture uses very fine needles to stimulate points on the body. Just like humans, this increases blood flow, lowers heart rate, enhances the immune system, decreases pain med needs, and releases the body's own natural painkillers. Arthritis, allergies, skin problems and pain relief are a few of the diseases that can be helped with acupuncture. Energy healing, such as reiki, offers similar benefits without needles with stress reduction and healing of disease. Acupuncture won't cause your pet pain, will usually have to be done for 4 to 6 weeks in the beginning, then every 2 or 3 weeks for maintenance. Unlike medications, there are no side effects. The Veterinary Acupuncture Society can help you find an acupuncturist in your area. Yes, dogs can go to the chiropractor just like their owners! They get their spines manipulated which puts the surrounding bones back in alignment. Dogs that jump, off the bed or couch, can land wrong and misalign their spines. If she limps or has trouble going up or down steps, you may want to consider a chiropractic consultation. Ask your chiropractor if he does adjustments on dogs. If so, you can go together! If not, ask your vet for a recommendation. The American Veterinary Chiropractic Association gives you more information on chiropractic for dogs. Dog massage therapy is popular with dogs the same reason it is for us - it relaxes them, releases sore muscles and relieves their stress. Yes, even pampered princesses and royal kings of the dog world have some stress! If your poodle has tender muscles from too much exercise or strain, check with your vet to be sure it's nothing serious and that massage is okay. Most dogs can handle massage well, but a few won't like it. If your pet flinches in pain, yelps or pulls back from the massage therapist, it's time to end the session and make that her first and last massage! Natural dog healthcare isn't for everyone. Serious signs of illness or injury should always be evaluated by a veterinarian. 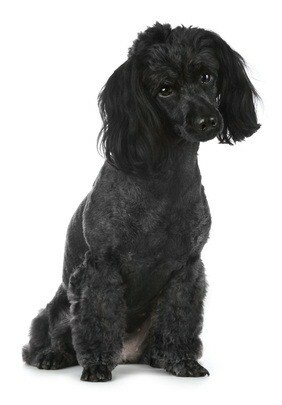 Speak with your doggie doctor to find out how naturopathy healthcare may fit in with your poodle's lifestyle.